When I am talking to customers at work everyday I hear this statement a lot: "My lawn is a mess...plus there is a lot of thatch in there....It is bad" or "I really need to de-thatch my lawn." While de-thatching the lawn has been proven to be counterproductive over recent years, as it causes more harm than benefit in the lawn, it is important for the homeowner to understand what thatch is and how to manage it. Thatch can become a serious problem in some lawns, while others may have no issue at all. Simply put, thatch is a layer of living and dead organic matter that occurs between the shoot growth of the soil. The primary makeup of thatch consists of turfgrass stems and roots that build up faster than nature can break them down. What causes thatch to build up in my lawn? Thatch problems come from a combination of biological, cultural, and environmental factors. Most people think that leaving clippings on the lawn causes thatch, this is not true. So long as the lawn is being mowed properly and not more than a third of the leaf blade is being removed. Cultural practices have the most impact on thatch build up in lawns. Using fertilizer that has high nitrogen content on a consistent basis along with overwatering contribute most to thatch build up. This is because they cause excessive and rapid growth of the turfgrass plant. Soil compaction, highly acidic soil, and heavy clay soils provide some examples of environmental factors that cause thatch concerns for the homeowner. Once thatch levels accumulate to greater than 1/2 inch, lawn problems may occur, and the thatch needs to be controlled. Once thatch becomes a problem it opens the lawn up to various turf diseases, provides a favorable place for insets and other pests to live, creates poor conditions for root growth (the turfgrass will actually root into the thatch layer instead of the soil), and can interfere with lawn care practices. How can I manage thatch build up in my lawn? It is first important to understand that using a de-thatcher is not recommended. this machine will rip thatch out of the lawn and also take most of your healthy turf with it. The de-thatcher also causes irreversible damage to the crowns of the healthy grass which will prevent the lawn from fully seeding itself in the future. The best way to manage the thatch is having a core aeration performed on the lawn, and following that with a topdressing and overseeding. Topdressing is done by simply adding a 1/8 to 1/4 layer of soil over the lawn after an aeration has been completed. The top dressing adds a good amount of microorganisms that will assist in breaking down the thatch naturally. The core aeration will not only help manage your thatch layer, but it also has many other benefits as well. It is important to have a professional inspect your lawn before deciding whether or not to topdress after an aeration, as the cores pulled from the lawn itself may be sufficient topdressing. You could also benefit from using pelletized compost as well, if topdressing is not required. Pelletized compost is a good way to keep microorgansim activity at an optimum rate in your soil. 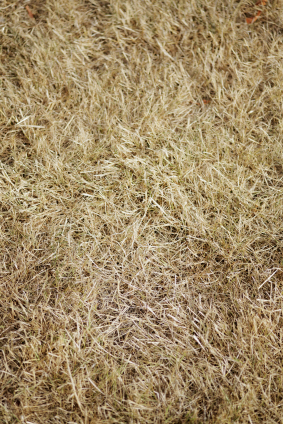 Also as mentioned earlier, acidic lawns cause thatch concerns. Giving your lawn regularly scheduled lime applications will help keep your soil's pH neutral.